It's a bit ironic, I guess, but also a sad commentary on climate change and global warming, that just a couple months after my two year China stint began in January 2011 I was making comfort quilts to send to Japan after the triple disaster, and now, just short of the end of my "China years," I'm making quilts to send to New York. 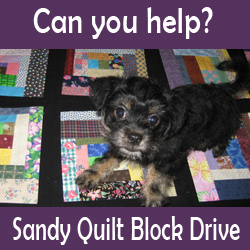 You can find out more about how to donate--blocks for the group effort, as a team leader who will sash, back, quilt and bind the blocks for one to five quilts, and/or where to send a quilt of your own design and making--by clicking the link at the top or the links embedded in this post. Note: Sorry the links are so pale--I haven't figured out how to fix that yet. It's still raining here in our usually arid area, and new flood warnings were once again issued this morning. I was marginally affected as it took me two days to get on a flight to Kunming in the south (about 3 and 1/2 hours flight from Beijing) where I was going to teach for a week. Once I boarded after multiple delays, it took another eight hours or so until landing around 5:30am Monday morning. Nothing, really, compared to the loss of lives, the millions of people who lost homes and everything in them (including their life savings), and the 80,000 people still stranded at Beijing International Airport, many for days, sleeping on the floor and making do with few resources (money, food, options). I'm back in Beijing, jet-lagged and loopy, but wonder of wonders, the air has cleared upon my return, with big blue skies and floating white clouds. What a welcome change from the typical smoggy gray sky and thick, dirty air I'm used to seeing and breathing here. The times, it seems, they just may be a'changing here in the capitol. In another reminder that progress is possible here, U-Tube is unblocked, at least for the moment. Proof is in this picture of Jude Hill's hands showing a "paperless piecing" technique. It's a terrific method for piecing, especially for squares and rectangles. 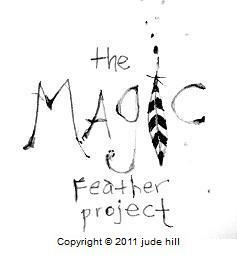 See her blog, Spirit Cloth, for inspiration and online courses. Blogger and Wordpress are also fully accessible (at least for now), complete with pictures and the ability to comment. My virtual world in China has grown exponentially! Meanwhile, because life is a mixed bag no matter what, construction on the block-sized mega builting continues below the apartment windows, and it's rising daily, getting closer and closer, bringing noise and dust 24/7. It's amazing to watch the techniques and progress, especially at night when workers toil at welding stations, fusing rusty steel rebar at welding stations, and moving back and forth in unison like a well choreographed dance. Photos taken at dawn during a rare quiet lull between night and day shifts. A lone tenacious tree hangs on between newly erected construction site buildings. I have several projects in mind, so tomorrow, after some rest, I shall return to the sewing table with focus and renewed zest. Just putting out that positive intention in the hopes it comes to pass. Parade and Temple Fair in Ditan Park, Beijing, on Monday, January 23.